Having a great week of training so far. How is your training going? I’ve done a variety of tempo work and some slower runs and am starting to feel fitter again which I am really pleased about. I am very glad to not be doing the International Women’s Day 5k this weekend as it has really given me a breather. I’ve started using a website called Daily Mile which is great and is actually motivating me somewhat at the moment. 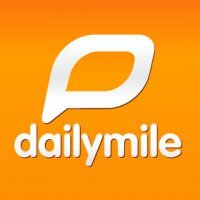 If you haven’t heard of Daily Mile it is a running community website that you can sign up to and basically log your training. As well as logging your training you can make friends on the site and support one another – be it people in your area or all over the world. I like it as each time I’ve done a workout and logged it someone has congratulated me and in turn it has made me feel a bit accountable for my training and supported in a random social media kind of way. There are others out there, in fact there are lots out there, so I thought in today’s post I would look at some of the different running websites where you can log training currently out in the market place. 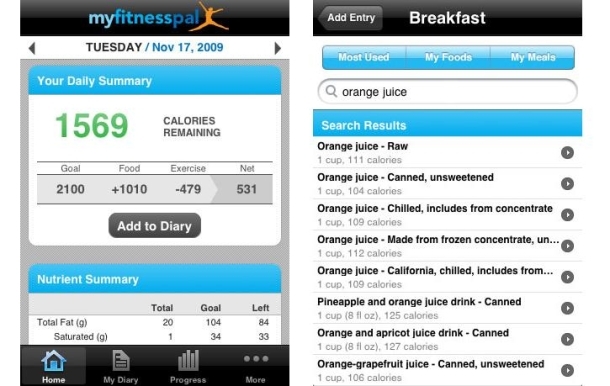 This website is great and is more of a calorie King type website where you can log both training and calories. It is somewhat addictive especially as a number of my friends are using it and you can see what one another are doing training wise and also comment, and I have the iPhone app for it which is good as it means I can log my food wherever I go. I did get fed up though as for some reason my training wasn’t showing in my news feed and so it looked to other people like I wasn’t exercising. I did email My Fitness Pal and tell them and the y said there were some glitches for some people and they were working on it, so I am tending not to use it now and using Daily Mile instead. ing training and also has a great iPhone app where it acts as a GPS and logs your run and then sends it to your profile. You can add friends and support one another and share runs. As with My Fitness Pal and Daily Mile, Runkeeper has a whole community section where you can log training and get fitness reports. Nike has always been very active in the running community and since bringing its Nike+ out some time ago it has developed a real following by runners and there is a Nike+ community which shows all runs done with the Nike+ and the ability to set goals and challenge friends. So if you have one it might be worth your while having a look at this. I wrote a post about mine a while ago which I mused to use before I got my Garmin. It’s a great tool to use if you use it understanding it might not be 100% accurate but it’s great for those that have just started running or run on similar terrain each time. I don’t know too much about the MiCoach. I know there is an app and I believe it works similarly to the Nike Plus pod and it goes under your trainer. The MiCoach I believe goes further than the Nike Plus and offers extras such as you can buy a MiCoach heart rate monitor and use a pacer which links to the app. It has a forum and a coaching area. I am not sure about a community but I am sure there would be one. Garmin also has a great community website – “Garmin Connect ” for users of its watches where you can sync your runs from your watch and also add friends and share runs. You need to have one of their watches though to use the site. I find it useful and really good to see how my pace has changed and heart rate. The Garmin Connect site shows quite detailed information on your run such as elevation and heart rate which I find really useful. 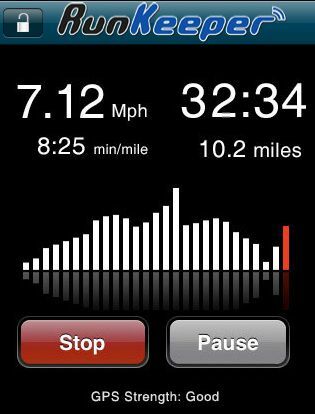 Similar to that of Run Keeper. Map My Run enables you to map runs, share with friends, log runs and has a nice portal for you to see it all in as well as challenge friends and note your nutrition. Cool Running is an Aussie based running site. I quite like this site. It isn’t for logging your training so much although you can keep your own blog and list your running in there if you so wish. But this site is actually great for looking up races in your area and in and around Australia. It also has lots of resources such as training advice and technique guides so well worth a look.